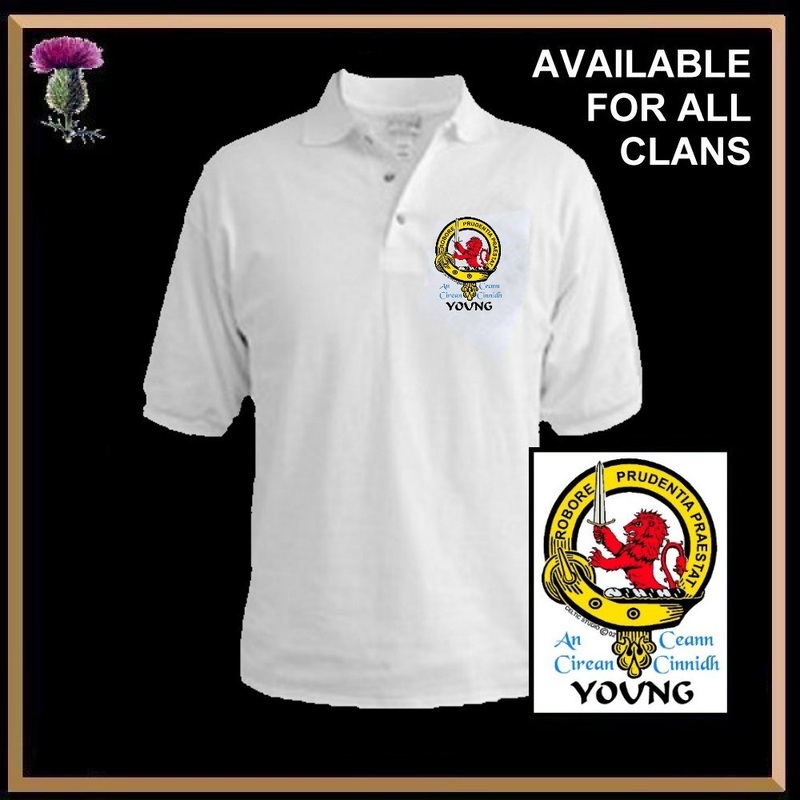 Your Clan Crest polo/golf shirt is custom printed in full color with a heart shot crest on the front. This is a high quality white golf shirt with a ribbed collar. Choose any Clan Crest. You can even specify any spelling of your last name, including all septs.